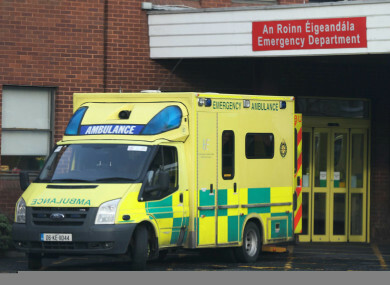 AMBULANCE SERVICE PERSONNEL have voted to take industrial action later this month in protest over the HSE’s refusal to facilitate payroll deductions of union subscriptions for new members of the National Ambulance Service Representative Association (NASRA). NASRA has said its members have voted by nearly 98% in favour of industrial action, up to and including strike action. It said the industrial action will begin on 24 July. Peter Hughes, the general secretary of the Psychiatric Nurses Association (PNA), of which NASRA is a union branch, said the decisive outcome of the ballot confirmed the level of anger and frustration by its members at having a basic right to join the union of their choice denied to them. “The message to the HSE from this outcome could not be clearer,” Hughes said. “Ambulance personnel do not accept the arbitrary move taken earlier this year by the HSE to refuse to deduct union subscriptions at source for the growing numbers of ambulance personnel (including paramedics, advanced paramedics and emergency medical technicians) who wish to join NASRA, and exercise their fundamental right to organise and join the union of their choice,” he said. NASRA members as union branch members of the PNA had been left with no other option than to take this action and protect their fundamental right of freedom of association. Sinead McGrath, national chairperson of NASRA, said that is it “time for the HSE to take up and accept the implications of this ballot outcome”. The HSE has been contacted for a statement. Email “Ambulance service staff to take industrial action over union rights”. Feedback on “Ambulance service staff to take industrial action over union rights”.